No Repro Fee..A host of colourful characters were on hand in Dublin today to launch St. Patricks Festival 2012, which will take place from March 16th - 19th. 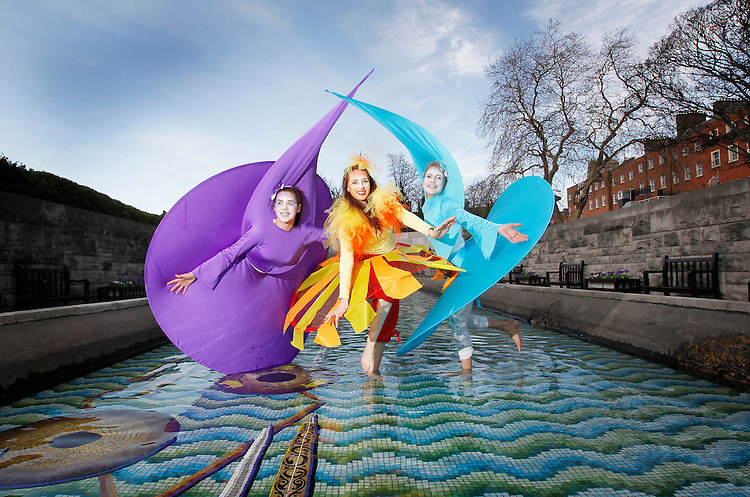 Drawing inspiration from Dublins status as The City of Science, the Festival parade and ever-popular city Treasure Hunt are this year inspired by the how, what and why of science. Pictured here are characters from the Artastic street troupe who will be appearing in this years parade, Moe Coakley (left), Rachel Lally and Emily Archer (right)..Pic: Robbie Reynolds/CPR.